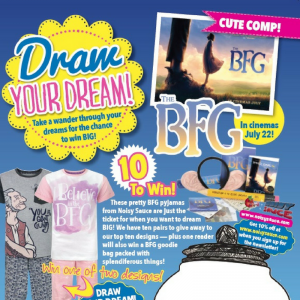 We have splendiferous BFG prizes in the latest issue of Animals and You Mag – win pretty pyjamas in a choice of two designs from Noisy Sauce and one lucky winner will also win a brilliant BFG goodie bag, too! Find out how to enter in Animals and You #208, on sale until August 30th! Next story Zoella’s Pug Pals!